Johannesburg - In less than two weeks, Finance Minister Malusi Gigaba is expected to unveil the government’s latest fiscal plan, which will show that the state’s budget deficit has deteriorated since the February budget speech, delivered by Gigaba’s predecessor, Pravin Gordhan. This deterioration comes as a result of a significant shortfall on tax revenues amid local economic growth – which goes against previous optimistic estimates. All of this news will increase the pressure on the country’s credit rating, which determines the borrowing rates for South Africa. The country has already been downgraded to “junk” investment status by the two influential ratings agencies, Fitch and S&P Global. Gigaba is set to present his first medium-term budget policy statement in Parliament in Cape Town on Wednesday, October 25. George Glynos, the director of Econometrix Treasury Management, said he was not expecting much from the medium-term statement beyond a rising government deficit. “An ugly picture is going to be painted ... My expectations are low. I am expecting platitudes and spin,” he said, adding that the widening deficit increased the chances of further downgrades. It would be interesting to see what plans the government had for getting back on the path of fiscal consolidation, he said. Glynos made the point that it was critical for the medium-term statement to come out with realistic growth forecasts. 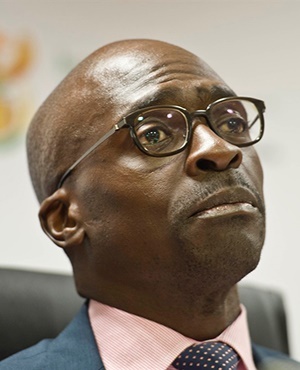 Gigaba was likely to give hints in his statement that he would raise taxes next year to try to plug the widening government deficit. The problem was that ever-increasing taxes would choke growth even further, Glynos said. In the February Budget Review, the following was stated: “We are carrying out a measured consolidation to narrow the budget deficit and contain the growth of public debt. Slow economic growth has placed enormous pressure on the public finances. The lack of growth in the country is likely to see the SA Revenue Service (Sars) miss its annual tax collection target by as much as R50 billion this year. Izak Odendaal, investment strategist at Old Mutual Multi Managers, said expectations were modest. “Traditionally, they do not make any huge tax announcements at the mini budget,” he told City Press. “They will announce the extent of the shortfall in tax revenue. We know it will be less than had been projected – probably, it will fall by about R40 billion. “We have a fair idea of what it will be because of Treasury’s monthly updates. Gigaba will have to give a high-level projection of the budget deficit and how much that could be contained by spending cuts – without getting too specific before next year’s Budget Review. “You can reduce the deficit to some extent – for instance, by returning unspent allocations to municipalities,” said Odendaal. He said that, with regard to most of the issues Gigaba had to worry about, the minister had no power to affect them anyway, but he could at least “make the right noises”. National Treasury released figures last month showing that, for the first five months of the financial year ending August, the budget deficit amounted to R141.4 billion, compared with almost R118 billion at the same time last year. The February budget speech forecast a budget deficit of R149 billion, or 3.1% of GDP, for the fiscal year ending March 2018. However, this target is likely to be missed, given the shortfall in tax collections. The budget deficit could climb to 4.5% of GDP this fiscal year, the SA Reserve Bank said this month. In February this year, government debt stood at R2.2 trillion, or 50.7% of GDP, with interest payment growing rapidly. The February budget speech also forecast that net debt would stabilise at 48.2% of GDP in the 2021 fiscal year. However, this forecast debt stabilisation could be delayed. Glynos said South Africa’s debt level would hit the first line of danger if government debt reached 60% of GDP. He warned that debt levels of 65% to 70% as a portion of GDP would spell “real danger”, including the possibility of a bailout by the International Monetary Fund (IMF). Gigaba inherited a number of half-completed policy reforms – and then added more with his 14-point plan, announced in July. The medium-term statement will be an opportunity for the minister to show what progress has been made on divisive fiscal interventions such as the sugar and carbon taxes, as well as the overhaul of public procurement law. The tax on sugary drinks, now rebranded as the Health Promotion Levy, is set to take effect in April 2018. Consultations on the health levy have dragged on since early 2016, resulting in a reduced tax rate and promises of countervailing measures to protect the sugar industry, despite the fairly generous trade protection it already enjoys. A sugar task team is looking into more ways to mitigate the job losses that could result from falling sugar and cooldrink demand. Earlier this month, Treasury told Parliament that it had revised its forecast of potential job losses down to below 2 000 – if the sugar industry reduced the sugar content of its products by about 37%. In the February Budget Review, a new carbon tax bill had been promised in “mid-2017”, but it is yet to materialise. This week, Treasury told City Press that it “hopes to publish it soon”. Even if the bill does materialise soon, it is unlikely to provide any budget relief within the three years covered by the mini budget. Treasury previously indicated that electricity would be largely unaffected by the carbon tax until 2020, while most industries would get fairly generous allowances at first as well. Another major and long-awaited piece of reform is the Public Procurement Bill, which would overhaul the politically loaded system for awarding tenders. A draft bill was said to be ready in May this year, but Cabinet has been sitting on it for months. Once Cabinet approved the draft bill, it would be made public, Treasury said this week. State-owned enterprises (SOEs) will loom large, even though Gigaba has very little power to fix them, said Odendaal. “People will be looking for news on Eskom, SAA and the SABC. You cannot be too optimistic. He does not control them. He only controls the guarantees. Low growth and SOE guarantees, for Eskom in particular, are the biggest risks identified by credit ratings agencies. Gigaba had to give realistic growth forecasts, but the obvious interventions from government are not under Treasury’s remit, said Odendaal. 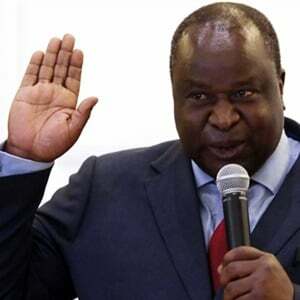 The controversy over the Mining Charter has to be resolved, but that is the responsibility of Mineral Resources Minister Mosebenzi Zwane. Large investments in renewable energy have been suspended for months, pending a resolution to Eskom’s refusal to sign power purchase agreements which were already agreed to by the department of energy. According to Odendaal, Gigaba only has to signal that he is aware of the SOE problem. It became obvious earlier this year that Treasury would have to revisit its growth projections from last year’s medium-term budget policy statement. That statement had predicted GDP growth of 1.3% in 2017, 2% in 2018 and 2.2% in 2019. The IMF recently cut its projections for South Africa’s growth to 0.7% in 2017 and 1.1% in 2018. This is comparable to the Sars’ predictions of 0.6% growth for this year and 1.2% for next year. “I think that 1.5% to 2% is not unrealistic in the next few years,” said Odendaal. Investec economist Annabel Bishop is forecasting growth of 0.6% for 2017, 1.2% for 2018 and 1.7% for 2019. What would you expect to see out of the mini budget? Are you expecting bad news?